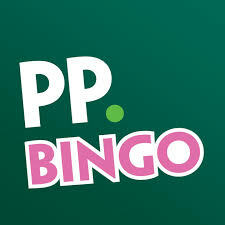 If you fancy going a little mad when you play bingo online, one of the best places to do so is Paddy Power Bingo. They have a reputation for being a little loony and you only have to look at the great guaranteed prize games playing tonight to know why. If you want to win the same amount whether you win one line, two lines or the full house, check out "Midweek Madness", these bingo games play from 7pm to 11pm in the Gold Room on a Wednesday and you can all win £150. As I have not lived in the UK for a while I was checking out the prices and £150 can still buy quite a lot so would certainly come in handy for Christmas. It will buy a 5 kilo (10lb – thereabouts) Turkey – that costs £20, so you have £130 left in change for all the trimmings and maybe a few bottles of something to go with your Christmas dinner. You can get a nice sized (970gm) Christmas pud for £4.00, a cake for around £10.00, a bottle of Bombay Sapphire Gin for Gran for only £12 at Sainsbury right now (you have no idea what I have to pay for it!) and we still have £104 left. I could go on but I’m guessing you get the idea. It gets even better because in Paddy Power Bingo Midweek Madness the £150 prize for all winners is only in the first game. The second game plays at 8pm, and the winners each receive £/€200 – YAY, even more to spend, then the prize money goes up all the way to 11pm so the later you play the better the prizes so it’s worth staying up a little later than usual to go a little crazy with this billiant bingo site.